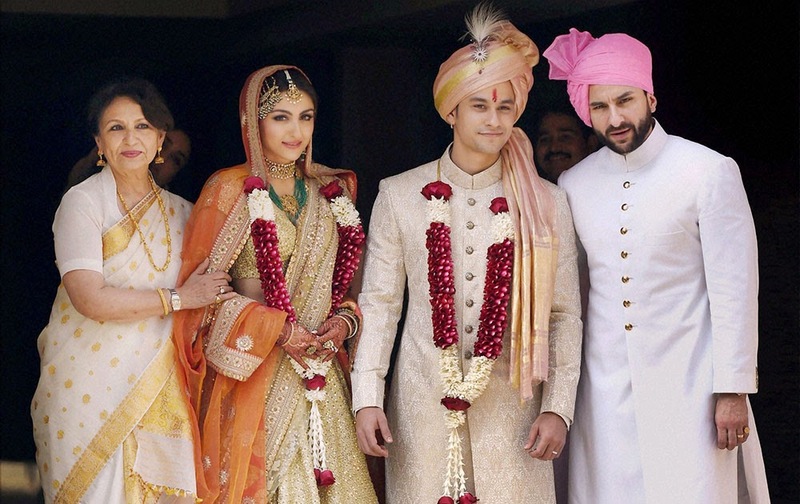 Saif, Soha, Kunal Khemu and Kareena pose for a picture together. 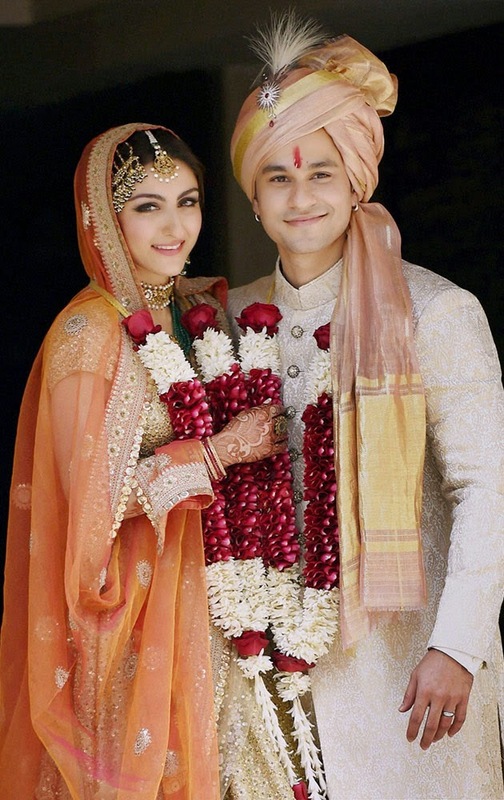 Pataudi beti, actress Soha Ali Khan married actor Kunal Khemu in a private ceremony in Mumbai today in the presence of select members of her family including mother Sharmila Tagore, brother Saif Ali Khan and sister-in-law Kareena Kapoor. While the bride looked lovely in a cream and orange lehenga-choli, her sister-in-law was spectacular in a champagne-pink sari by designer Manish Malhotra. Saif was the perfect nawab in a white achkan, a pink turban adding to his dapper look. 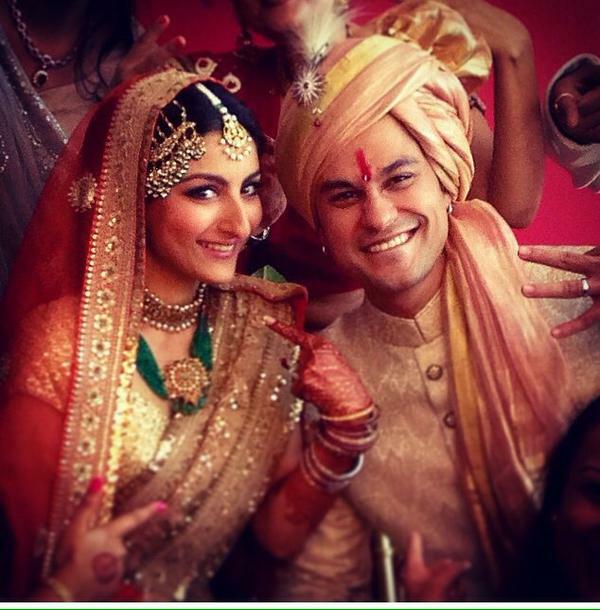 Soha’s wedding festivities commenced on January 22 with an intimate bachelorette party thrown by her girlfriends, including actresses Neha Dhupia and Konkona Sen Sharma. 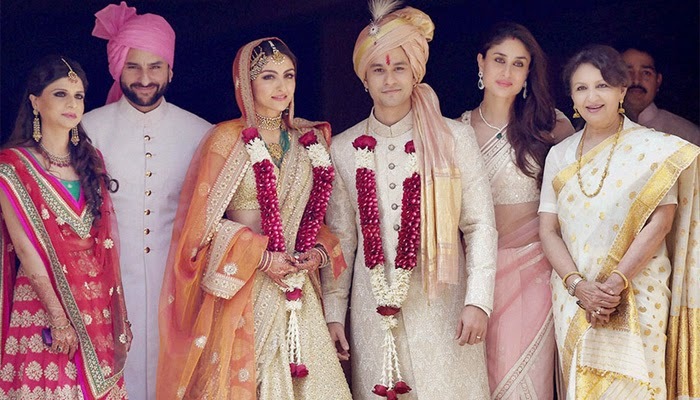 A mehendi function was held the next day with Saif and Kareena by her side. The Rang De Basanti actress had worn aleheriya and gota-work outfit by Ritu Kumar. 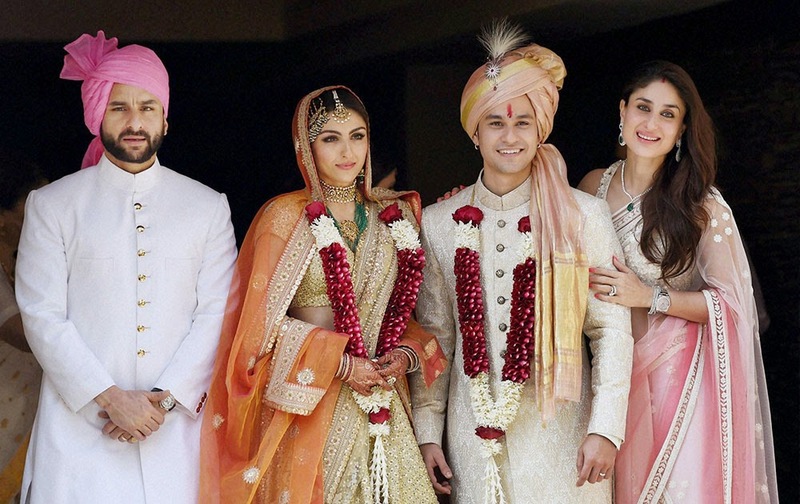 The low-key wedding was a stark contrast to the grand celebration that marked Saif’s wedding to Kareena in 2012. IPL 7 TICKETS ON SALE NOW!